Hello everyone! 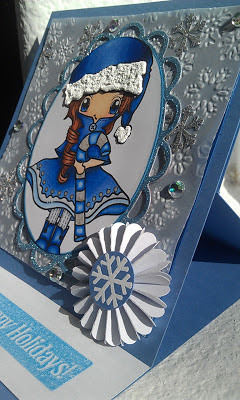 Today I am sharing another project. 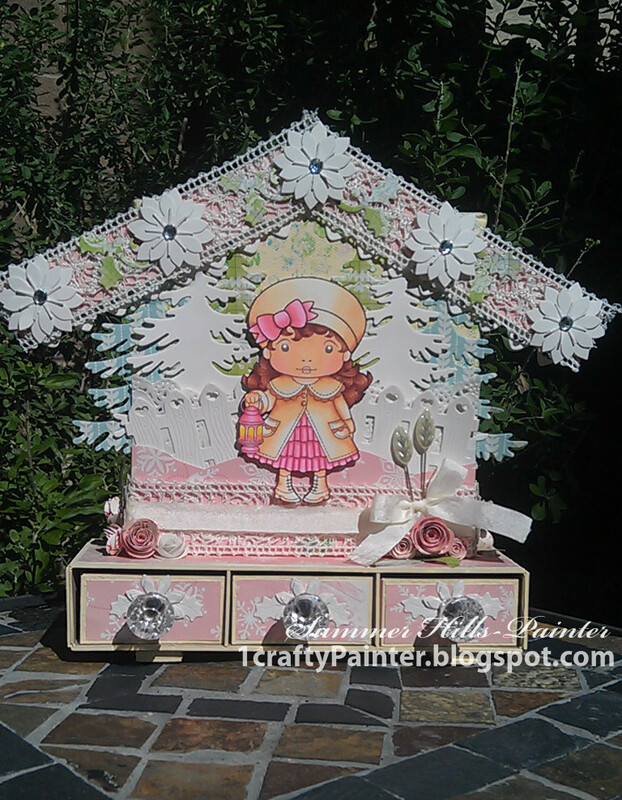 This is an altered canvas project that I completed at Scrap Happy Ohio during a class with Irina from La-La Land crafts. Isn't this great? The drawers and box are all made out of paper and chip board with was painted with Americana Buttermilk acrylic paint. Happy weekend to everyone. 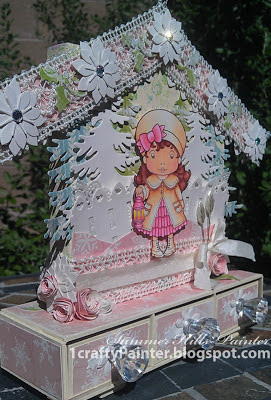 I wanted to share a technique that I learned last weekend at a crafting class. Everyone there was coloring with Copic markers but me, well I colored with my Spectrum Noir markers of course. 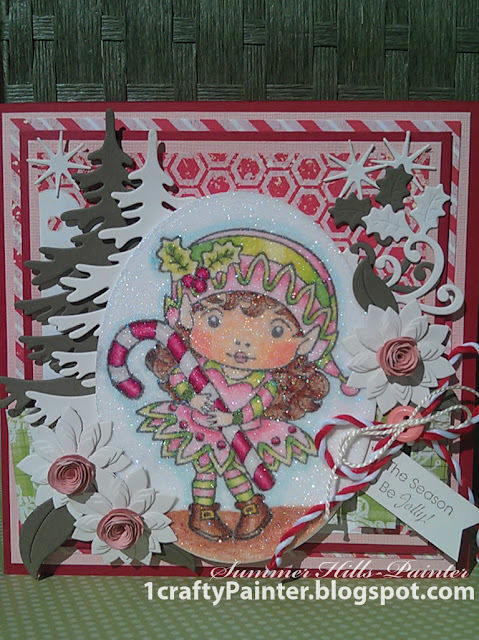 This is Christmas Elf Marci from La-La Land crafts. She has been colored on Glitter Ritz Micro fine glitter. The first thing we did was cover paper with double sided adhesive. 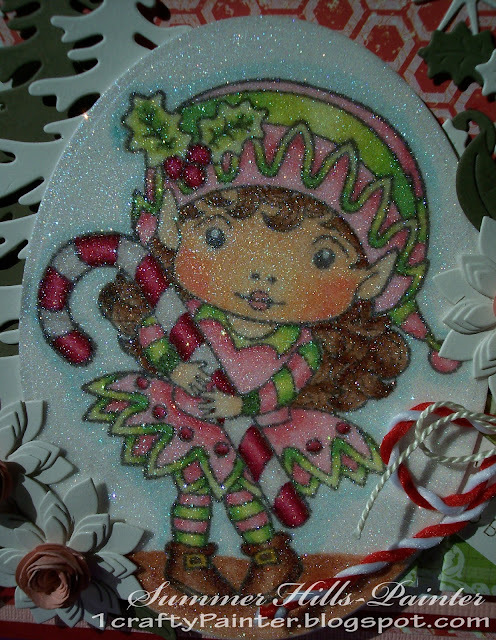 Next we added that glitter and burnished that glitter well onto the adhesive. After that we stamped the image with Momento Tuxedo Black ink. Once dry, it coloring time! Here is the finished card, I absolutely love this technique! I cannot wait to try it again! the Spectrum Noir challenge - use Flowers. Happy Sunday! 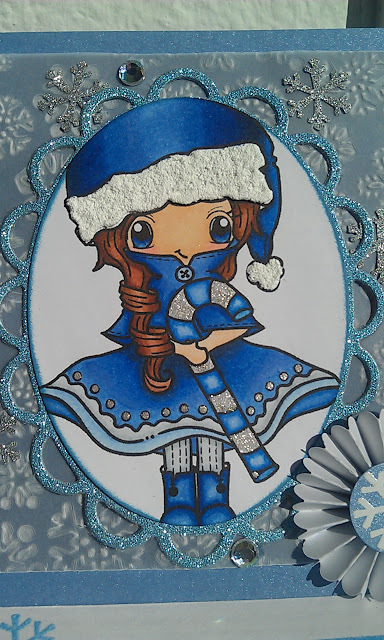 I received a new stamp in the mail and could not wait to color her. 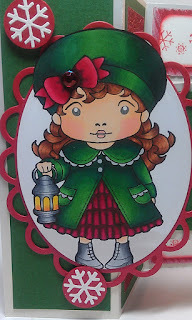 This is Christmas Lantern Marci from La-La Land crafts. Isn't she cute! 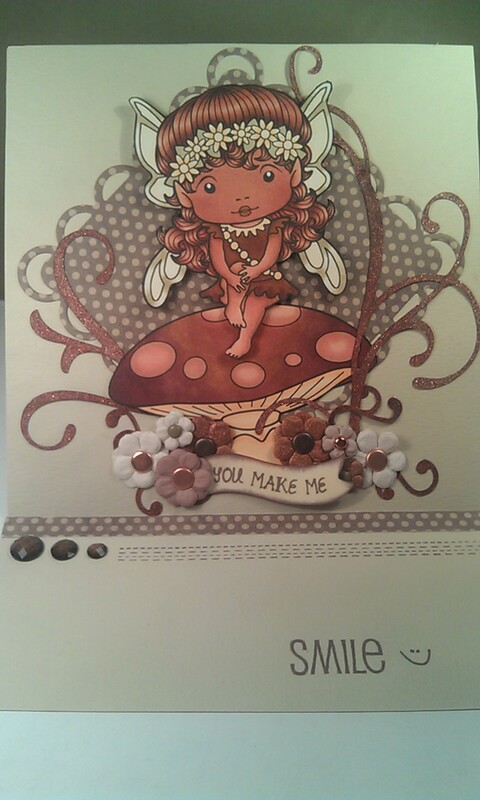 I put Marci on a Tri-Shutter card which I taught some local ladies to make. 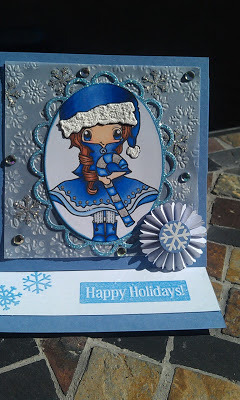 For the background I used a Fiskars texture plate in my Cuttlebug. 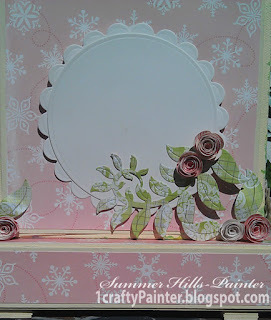 The rosette was cut with the Tim Holtz rosette die. Here is a close up of the coloring. I used my Spectrum Noir markers in the TB family with some touches of Cool Grey. The hat was fluffed with Snow-Tex. I also added some shimmer with a Star Dust Gelly Roll pen. Here is the side view. As you can see, this was an easel card. I punched some snowflakes with my EK Success punch and added some bling. Happy world card making day!! 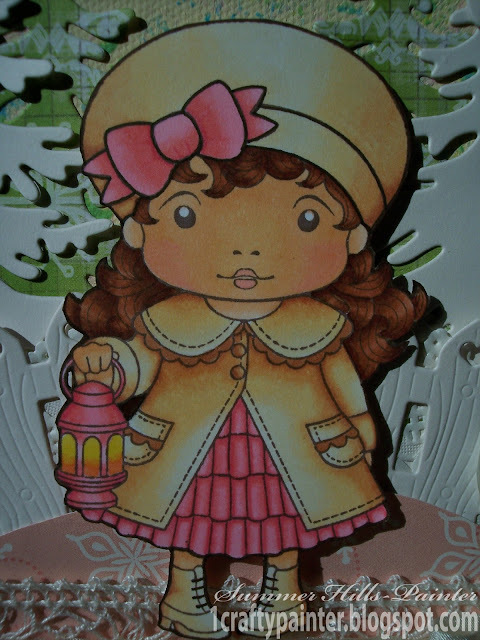 Here is an easel card that I have created using monochromatic colors. This is Faerie Marci from La-La Land Crafts. 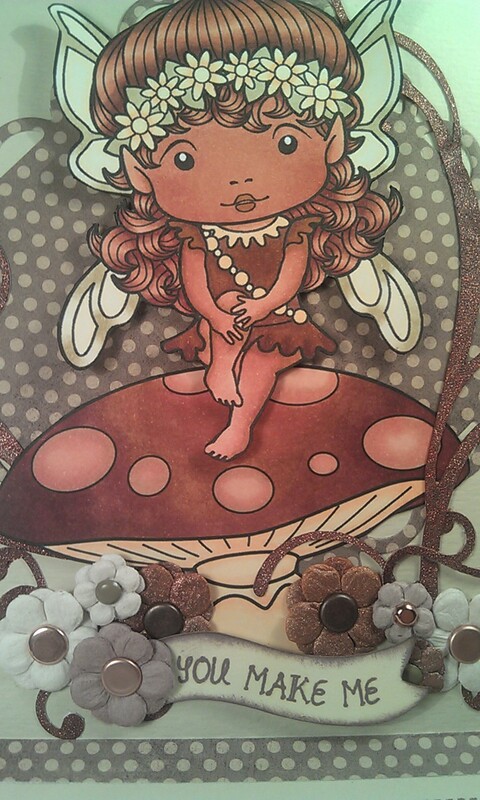 She is sitting on the whimsical mushroom also from La-La Land crafts. 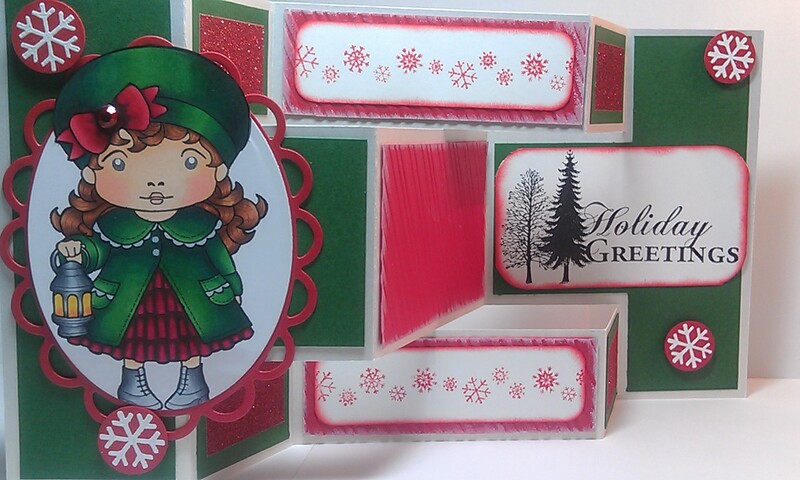 I love the easel style card. It make it so easy to display.